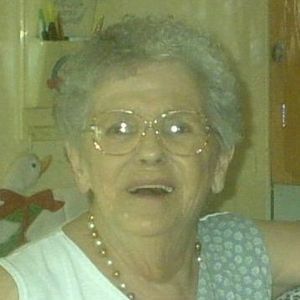 Genevieve M. Gagnon, 79, of Fort Myers, FL and formerly of East Granby, beloved wife of the late Carleton Gagnon, passed away on Saturday, July 5, 2008 in Florida. She was born October 6, 1928 to the late William E. and Alice (Pilon) Myette in Altona, NY. Genevieve enjoyed reading and working on puzzles. She was a former Communicant of St. Bernard Church in Tariffville. She leaves three sons, Carl Gagnon and his wife Linda of Ft. Myers, FL; Mark Gagnon and his wife Karen of Arcadia, FL; James Gagnon and his wife Robin of Windsor Locks; a brother, William H. Myette of Southwick, MA., five grandchildren, Kevin, Jeremy, Michael, Michelle and Allison, a step granddaughter, Kristin and two great granddaughters, Jaclyn and Karissa as well as many nieces and nephews. Besides her husband and parents she was predeceased by a sister, Marie Gero of Granby.